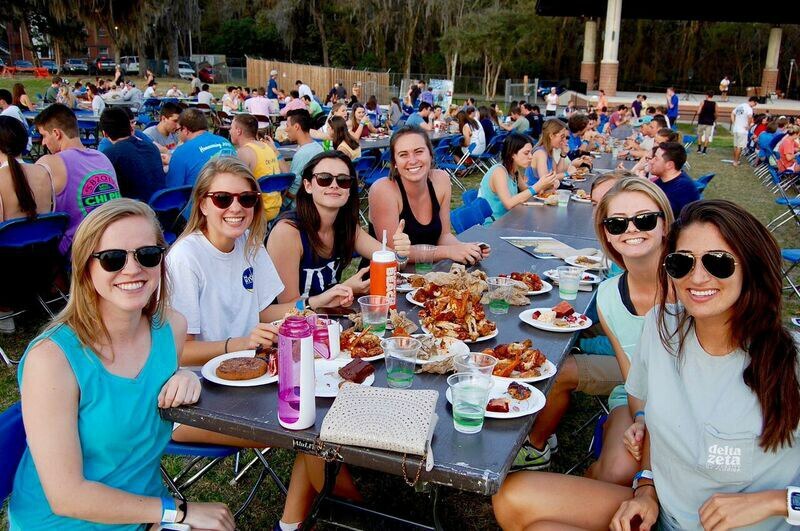 If you want a great turnout for a cause, one thing has to be a staple: food. 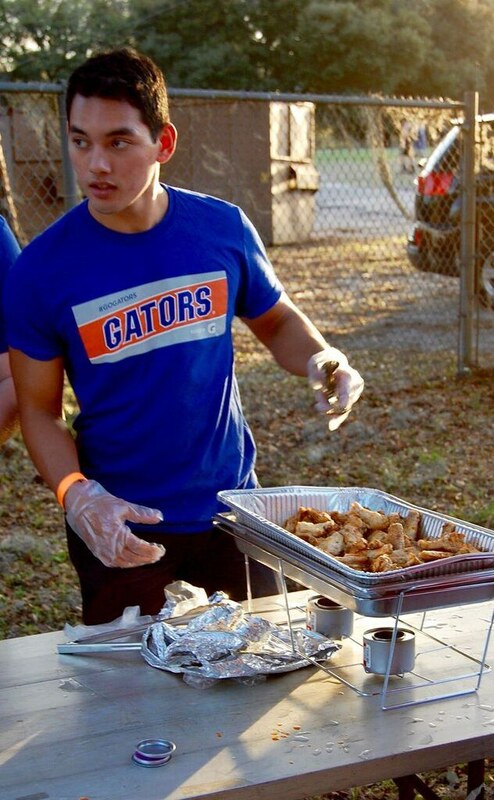 The competition for which house makes the best wings is on as Thursday the Interfraternity Council at the University of Florida hosted its annual philanthropy Chicken Wing Charity Thing. 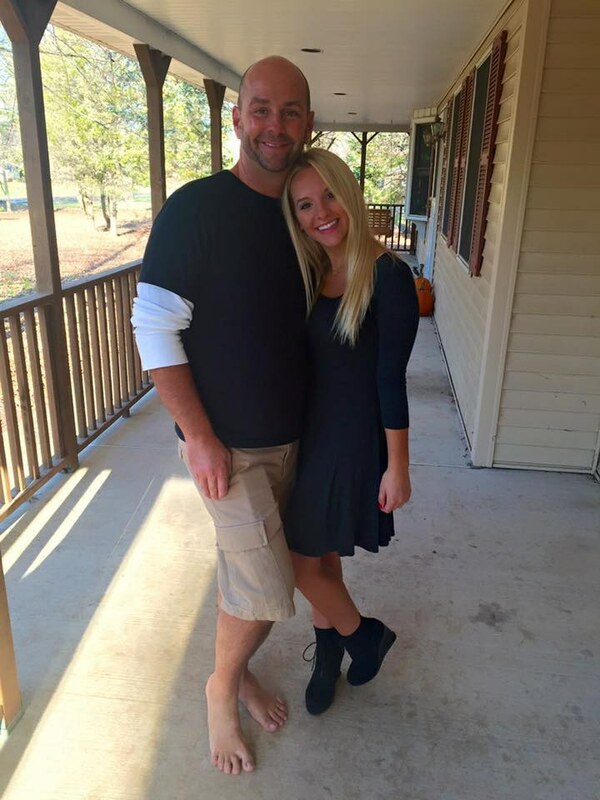 The event is held each year in order to raise money for Dance Marathon at UF. 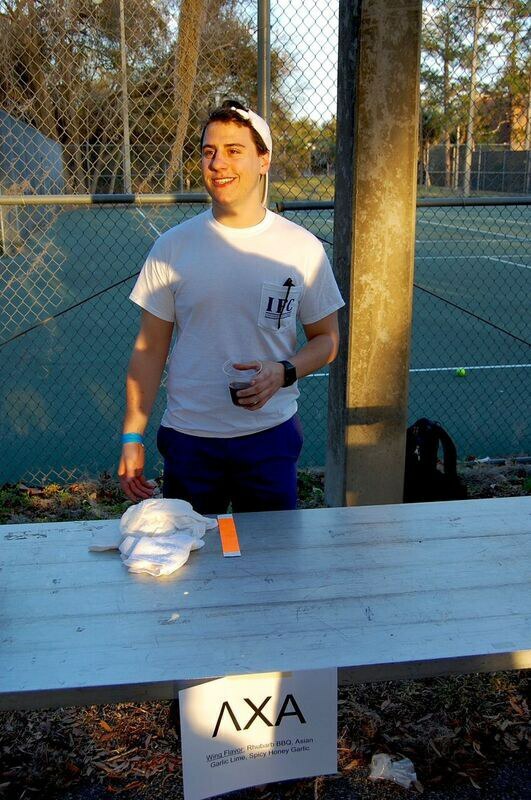 Last year’s total from the event was $10,000, a number that IFC would love to beat. 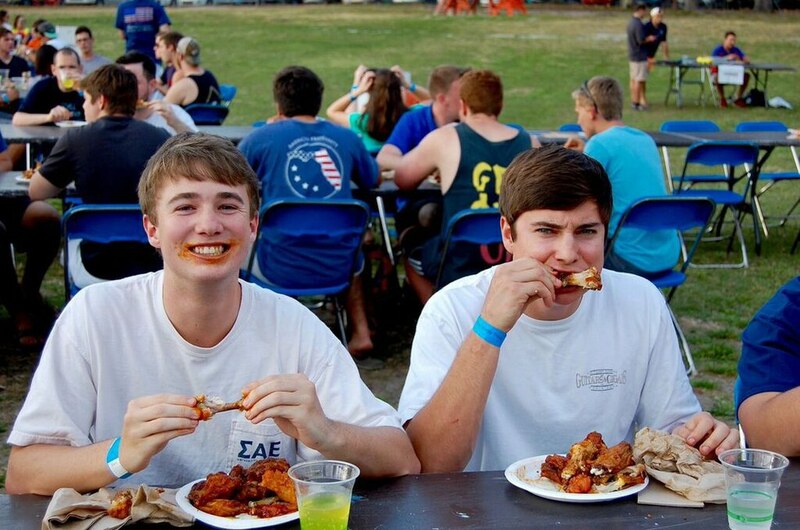 As for what the event is, it’s a buffet that will liven up your taste buds with of course, chicken wings. 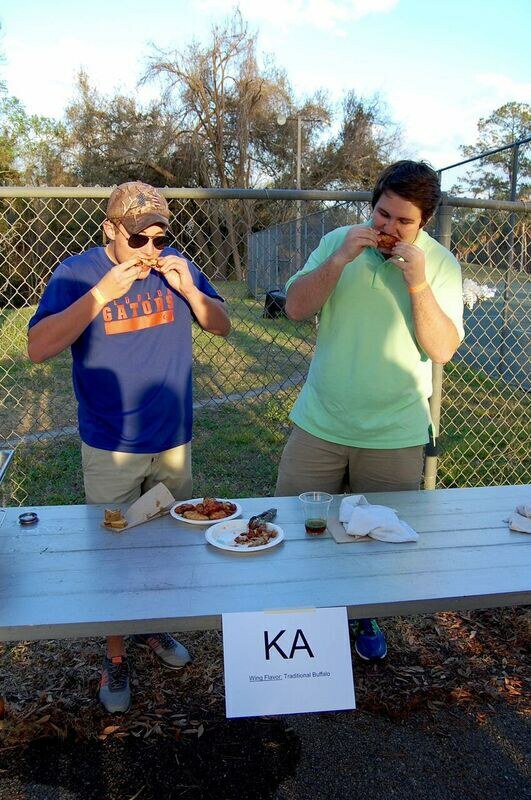 Each IFC chapter was in charge or providing their own unique flavors of wings from delicious classics like BBQ and buffalo to daring flavors such as teriyaki and strawberry BBQ. 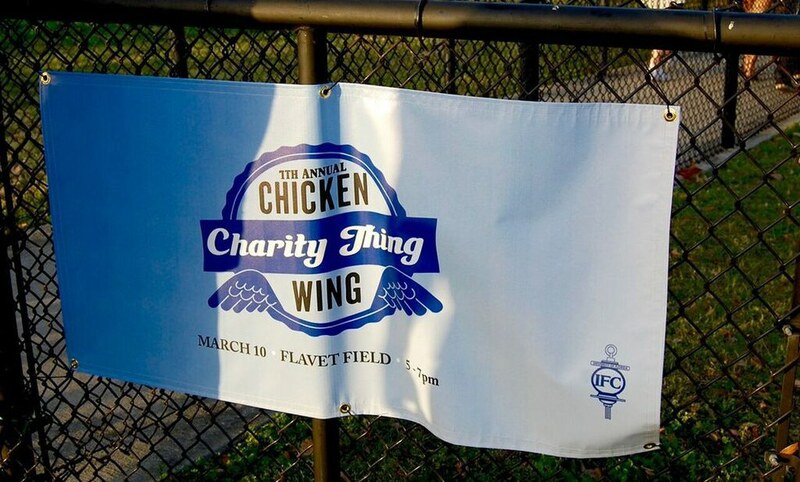 College Chef's Kyla Radziejewski of Lambda Chi Alpha, was in charge of providing the wings for the chapter and describes making the wings as a slow and steady process to get the flavors just right. “In the kitchen it's important to be really methodical and creative, you don’t want to be boring but use ingredients which hit you just right with flavor,” Radziejewski said. 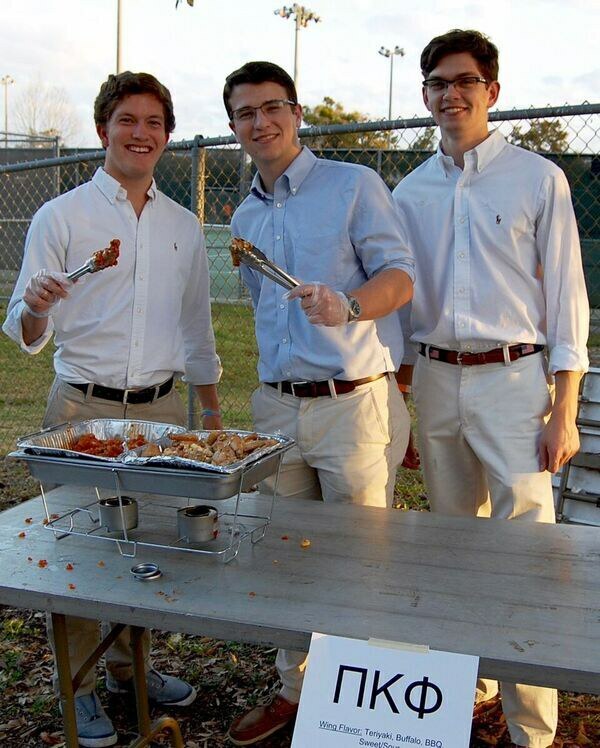 College Chefs, a Greek food solution, not only catered Lambda Chi, but also has chefs at Kappa Alpha, Pi Kappa Phi and Sigma Nu that cooked and catered mouthwatering wings that had tables cleared within minutes. When the wings are all set they are brought over to their respected spot where curious eyes and hungry stomachs await to see what each chapter has provided. 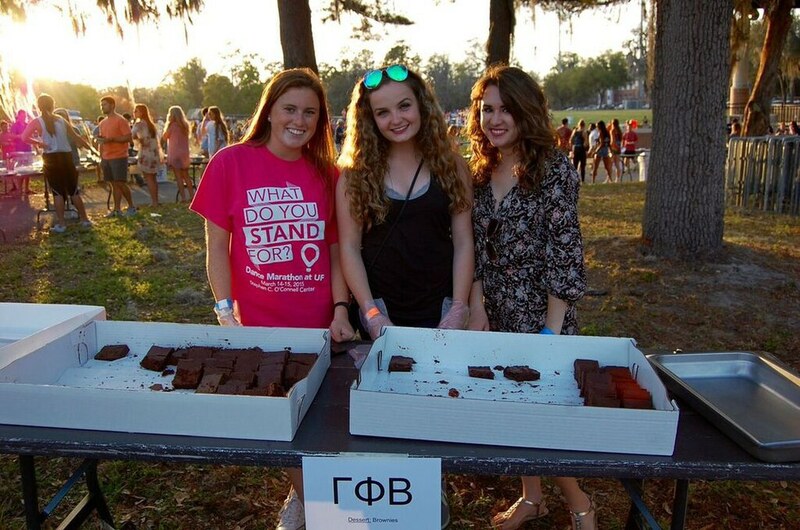 Aside from the wings, several members of the Panhellenic Council provided exquisite desserts from chunky chocolate chip cookies to fudge brownies to complement the wings and to compete as well for the title of best dessert. After attendants made their rounds, it was time to dig in as numerous tables were laid out where everyone could enjoy the outdoors. 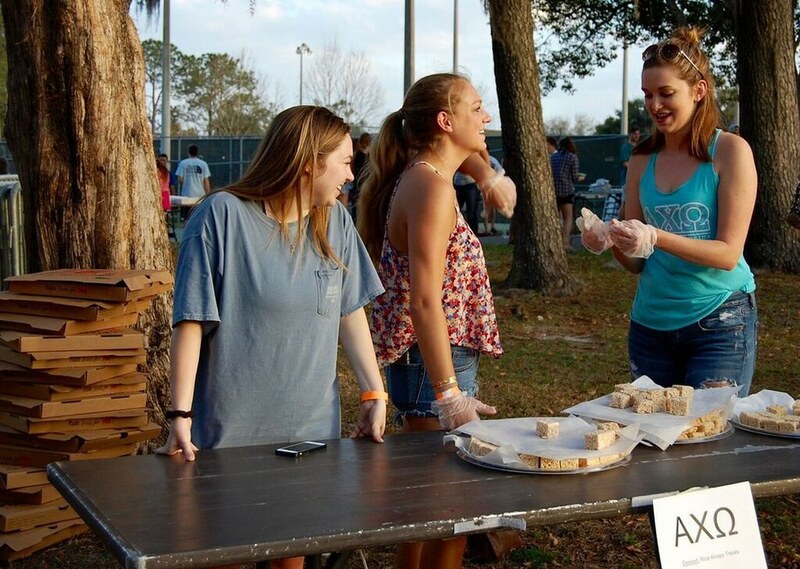 From wings, desserts to dunk tanks - the Greek and UF community had a great time supporting a good cause while filling up their stomachs, what more can one ask for on a Thursday afternoon?